Over the past few years, it’s become apparent that Soundcloud has become the dominant form of sharing and funding unreleased dubs and radio rips. While Youtube still holds a place in the collective consciousness and radio stations like Rinse, NTS and Berlin Community Radio continue to shine, Soundcloud is the real digger’s paradise these days. It doesn’t rile the imagination like pirate radio or offer physical substance like acetate, but Soundcloud does at least offer a relatively comprehensive database for unreleased material, often uploaded only minutes after being rinsed on an online radio station like Sub.FM, RWD FM or Nasty FM. Essex resident Gundam, a member of the RawSense collective, has taken a special liking to the Soundcloud platform, uploading numerous radio rips, reposting whole shows that feature his music and regularly offering free beat tapes and remixes to his fans. As far as aesthetics go, Gundam fits into a cadre of modern classicists that includes JT The Goon, Major Grave and others, taking what was so effective about grime’s early years and giving them a contemporary update. That being said, he also dabbles in hip hop production and clearly has a keen interest in breakbeat-led forms and the percussion-heavy machinations of producers like Neana and Akito. He’s remixed pop stars Drake and Beyonce to great effect (trust me) and also accumulated nods from Flowdan, Slackk and Son Raw. His nom de guerre elicits images of larger-than-life robots and his music is equally massive, both mechanical and fluid, a far from linear course leading from grime’s past and into its future. 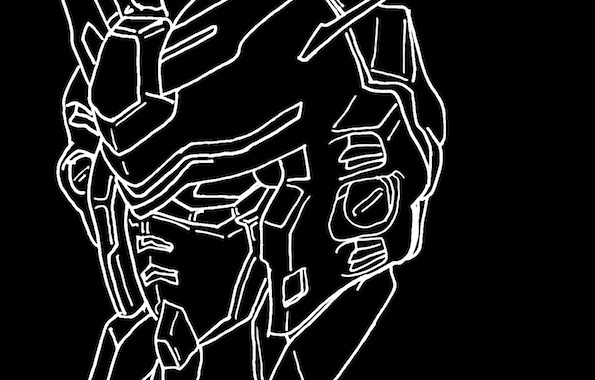 Gundam’s Astral Plane mix exemplifies this ethos, picking and choosing key elements from the formative era (in the form of Blackwax’s “Pulse X” remix) and contiguously mixing them with hyped, but untested new tracks (William Skeng’s “Symbiotic Wetsuit Riddim”). If you’re looking for a comprehensive account of where grime has been, is and will be, then look no further.